An episode of Mental Health - Let's Talk About it! Mental Health - Let's Talk About it! 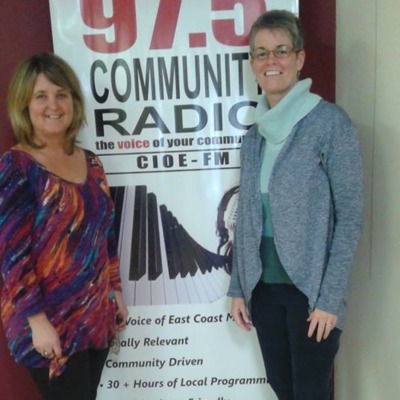 is hosted by Charlene Pickrem the owner of Pick Empowerment on CIOE 97.5 FM. 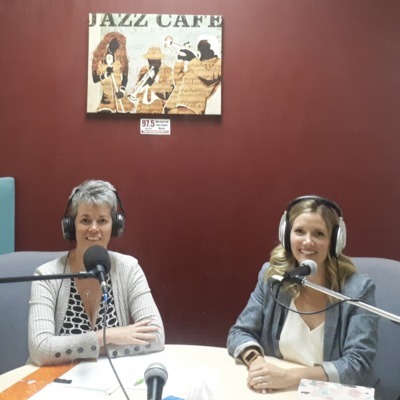 The objective of the show is to have various guests from all walks of life/jobs share their awareness and perspectives on Mental Health and Mental Illness to empower other with potential strategies to look after self. Join us you never know what you are going to learn. Be well! 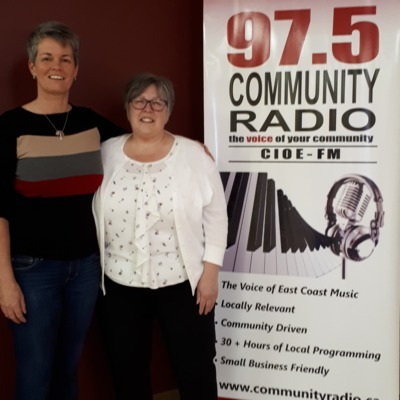 Donalda MacIssac, joins me to discuss her extensive volunteer efforts in the community, how the knowledge/experience gathered will assist her advocate for community members potentially as a MLA for Sackville-Cobequid, in Lower Sackville, NS. Be empowered! Bev Fletcher - "Believe in Hope"
Bev's teen daughter died by suicide. 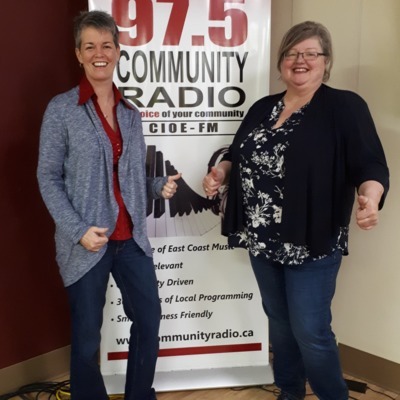 Bev shares her lived experience, what supported her to initially survive, what she did to empower herself and how she and her two daughters are living today. RESILIENCY+ Be empowered! 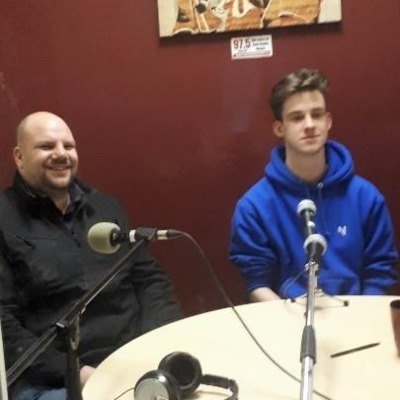 Kyle Kelly, Support Staff, Team Lead & Community Support Worker, and Tyler Simmonds, a Peer Support Worker join me from Laing House in the studio. 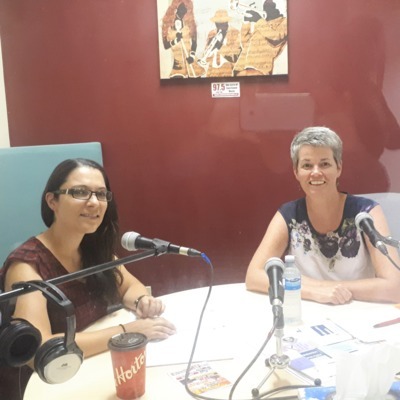 We discuss living with Mental Illness and the supports avaliable through Laing House. Please join us and be empowered! 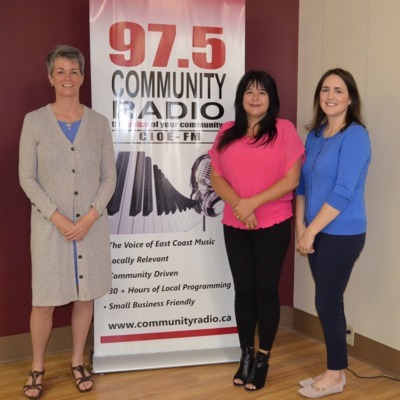 Jenny and Kim join me to discuss the various services provided by VON to assist individuals live well in their communities/homes. Did you know they have transportation and food delivery service? Be empowered! 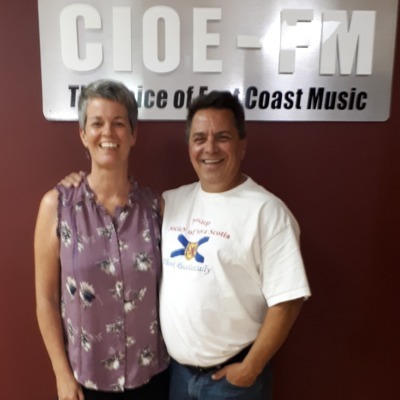 Joe, produces and hosts, 2 programs for CIOE 97.5 FM, All Them Blues & Soulful Shack. 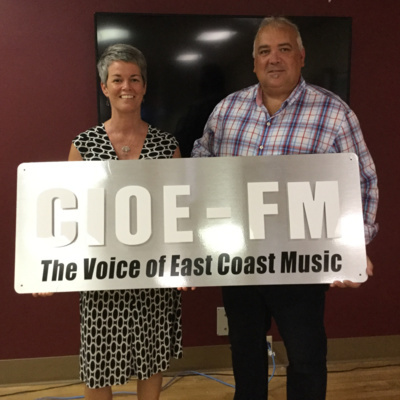 After attending a CIOE event I gave Joe a drive home and our conversation led to him being a guest on my show. We had so many similarities to share, our experiences and feelings, mental health challenges and current outlook on life. We all have a journey, how do you relate to another's story. Be empowered! Elizabeth, joins me on, Mental Health-Let's Talk About it! 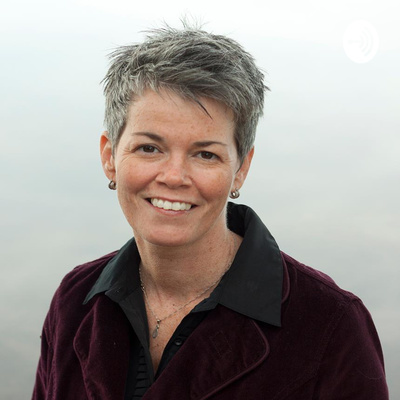 to share her passion and knowledge regarding, Adverse Childhood Experiences (ACE). Be empowered! 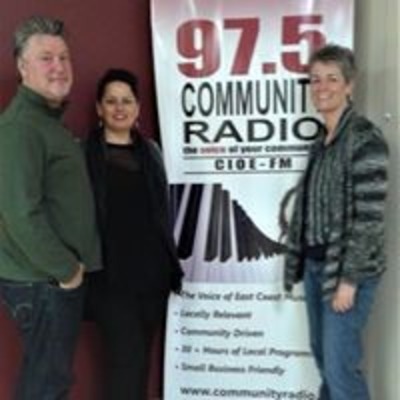 Andrea, provides listeners an awareness of the Community Health Boards. With over thirty-seven boards throughout Nova Scotia, volunteers gather information from their communities regarding your health and wellness, advocate change and provide wellness grants. Be empowered! Dr. Alexa Bagnell, Bell Let's Talk representative. 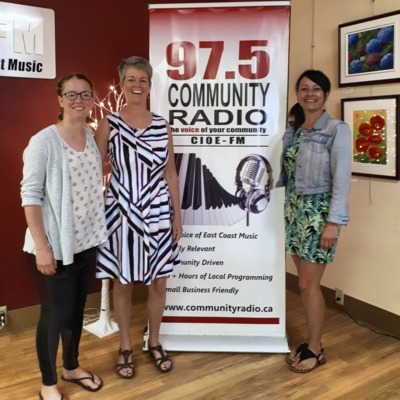 Bell Let's Talk representative Dr. Alexa Bagnell, discusses anxiety, acceptable and negatively impacting, strategies & support, web based interventions and resources. #bellletstalk My apologies to those of you who hate to hear the English language butchered my Dyslexic Syndrome was challenging me during the show and impacted the formation of my questions. The information though is fantastic. Be empowered! Jennifer, joins me to discuss how can we find "sparkle" in our lives to live a life full of joy, love, purpose and passion. David joins me to share his perspectives on, trying to get care for his sister, who had Schizophrenia and later died by suicide. Be empowered! Rachael joins me on Mental Health-Let's Talk About it! to discuss how working with horses and a facilitator can assist individuals with various challenges. Horses are extremely sensitive to an individuals emotional presence you can't fool them. Be empowered! 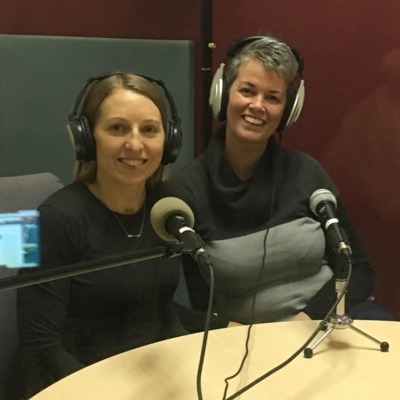 Georgina (Fraudcents) and Jenny (VON) join me to discuss the mental health impacts of fraud on our aging population and their families. How can we protect our loved ones and community members from elder abuse? This is a very important topic that we can not ignore! Be empowered! Andrew & Dena share how rcs construction supports employee mental health well being in their organizational culture. Be empowered! 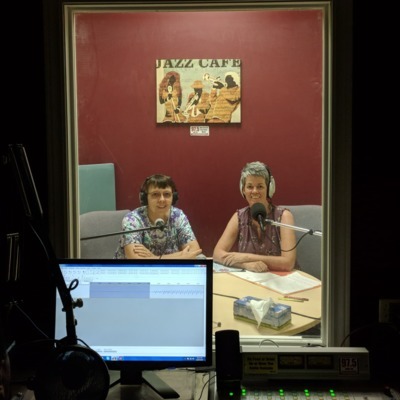 Listen to Peter share the importance of living life - try a new form of exercise, be with the one's you love, enjoy a good meal, help others and sleep. Try to catch a leaf and laugh! Operational Stress and Post Traumatic Stress Disorders can negatively impact ones life, learning strategies to move forward is important, you can overcome your challenges. Be empowered! 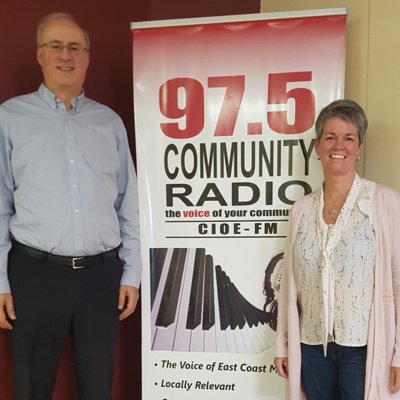 Dr. Allan Abbass, joins me to discuss how the Centre for Emotions and Health at Dalhousie University utilizes Intensive Short-Term Dynamic Psychotherapy to assist individuals overcome emotional blockages. James shares his perspectives on mental health/illness, the challenges he has experienced and his desire to live well, as a visually impaired individual. Be empowered! Dave joins me on Mental Health-Let's Talk About it! to share his knowledge of, Post Traumatic Stress Disorder (PTSD) appreciate our first responders. Be empowered! 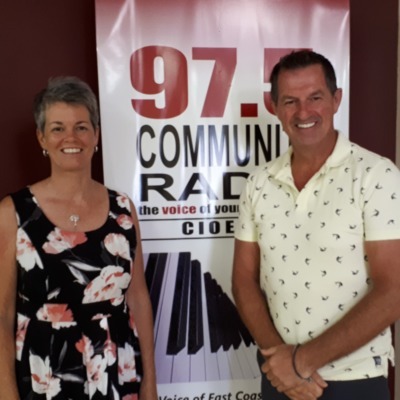 Steve joins me to share his story of trauma and resiliency. Six years sober and choosing to put as much time and energy into his recovery as he did his addiction. Steve discusses the challenges of overcoming one's past and the roadblocks he is encountering. Roberta shares how her Type "E" personality being everything to everyone was no healthy and how volunteering has helped her with her self care. 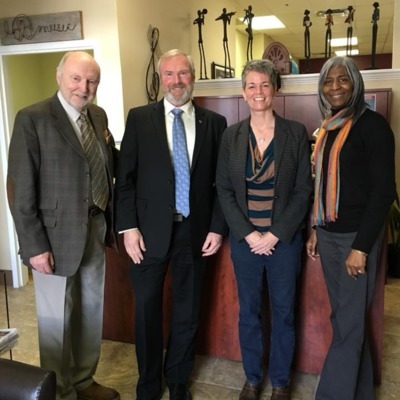 Rick joins me to discuss Mental Health First Aid and Non-Violent Crisis Intervention training as proactive strategies to assist individuals identify mental health behaviors and interventions to safely de-esculate individuals in crisis. Andrew Middleton, CEO of Shift, joins me to discuss experiential learning, supporting the mental health of employees and future prospects. 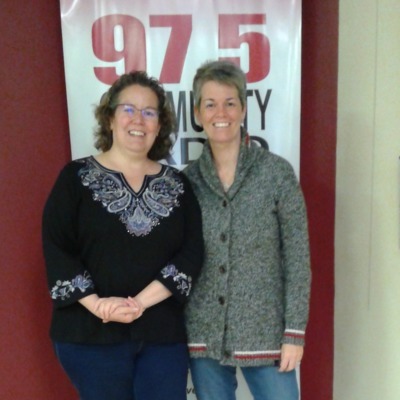 DocChristine Sauer joins me to discuss her dark journey with Mental Illness and finding the light; the right combination of medication and healthy alternatives to thrive. Join us for this inspirational discussion and enhance your knowledge of others perspectives. Be well! 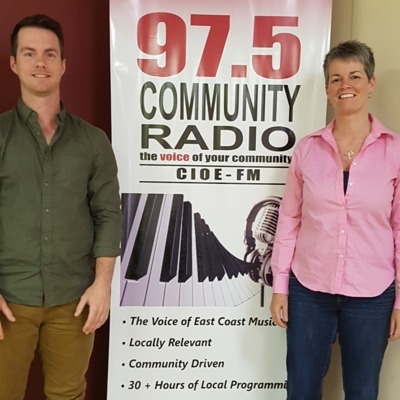 Nicole Clarke, Family Wellness Co-ordinator and Aaron Bailey, Youth and Community Outreach Co-ordinator join me to discuss the services provided by the Chebucto Family Centre to assist individuals, families and community identify challeneges and discover supports/strategies to maintain their Mental Health well being. 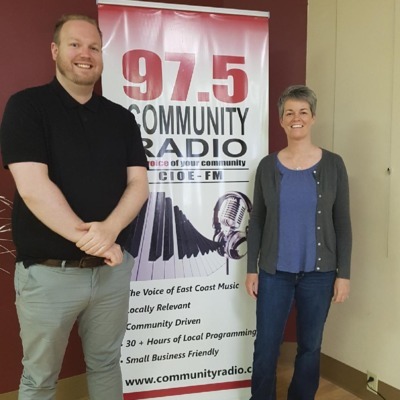 Jason Craig - Sackville/Beaverbank Happy Community Project. 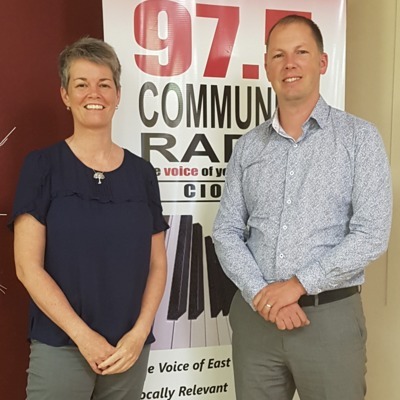 Jason joins me to discuss the Happy Community Project and the vision and action the residents of Sackville and Beaverbank have for their community. The Happy Community Project is an evidence based approach to improving our communities well being. 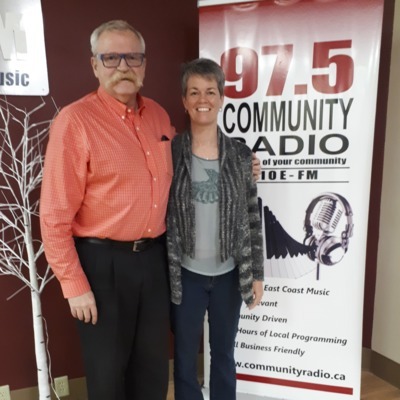 Ashley joins me to discuss her journey with Mental Illness and the strategies in her "tool box" to maintain her mental health as well as her desire to end the stigma of Mental Illness. Grant joins me to discuss hypnotherapy, meditation, toxic masculinity and other topics related to Mental Health. Andrea discusses strategies to reach our goals and uses me as her guinea pig to walk through the process. Kim shares with us the process of becoming a Registered Counselling Therapist (RCT) and the services provided by a RCT. Kim was my therapist and she was essential to helping me recognize how my thinking was causing me anxiety and to accept my depression and need for medication. Keith shares his own journey and how it spurred him on the start his own business. Zeek participated in programs offered by Keith and shares how it has changed his perspectives to one of a growth mindset. 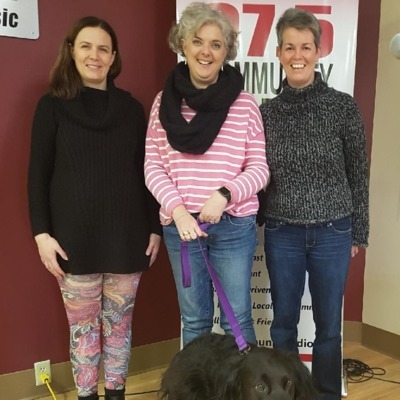 Kelly, Melissa and Jozee join me to discuss the benefits of animal therapy, the science behind it and how to become certified as an animal therapist. Animals are good for our Mental Health well being! 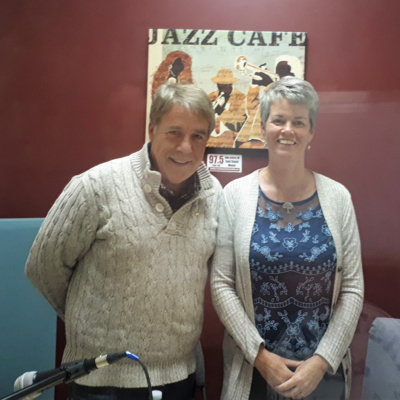 Debbie and I discuss the power of having a purpose, functioning well with Mental Illness, personal power and the importance of dealing with our trauma. Mike shares how he found himself as the Communications Coordinator at the Mental Health Foundation and the teams mission. 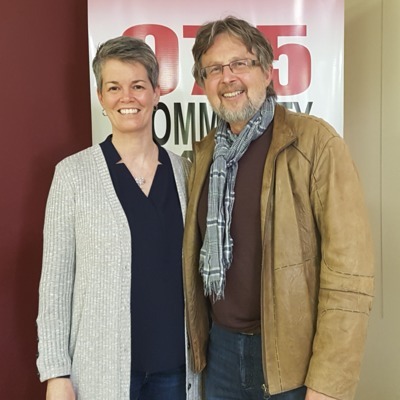 Dave shares how he became involved with Brigadoon Village and the various camps they offer, in particular, Camp Believe for kids/youth who have parents living with Mental Illness. Why not start with a little giggle!! Great explanation of the difference between Yoga Therapy and yoga practice. These ladies know their stuff, have a listen, great show!! Councillor Steve Craig, District 15 - Lower Sackville, NS. 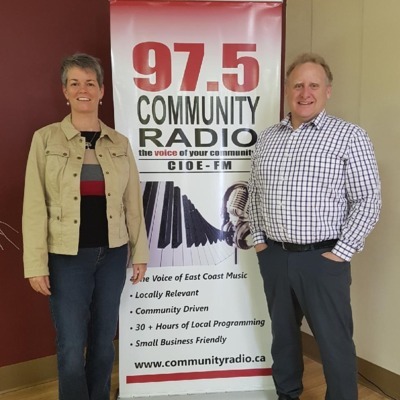 Steve joins me to discuss resources that are available to citizens within HRM, issues concerning citizens that impact Mental Health and how we can help self as well as other within our communities. 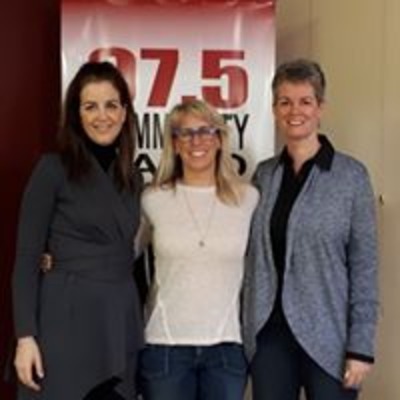 Dr. Patricia Lingley-Pottie, President and CEO of the Stongest Families Institute, is also a scientist at the IWK Health Centre and Assistant Professor at Dalhousie University and Kati Lavigne, Vice President of Operations joins me to discuss their approach. Lynn Yetman, Executive Director, Healthy Minds Cooperative. Lynn discusses peer to peer or group led support to get you where you need to be to meet your Mental Health needs. 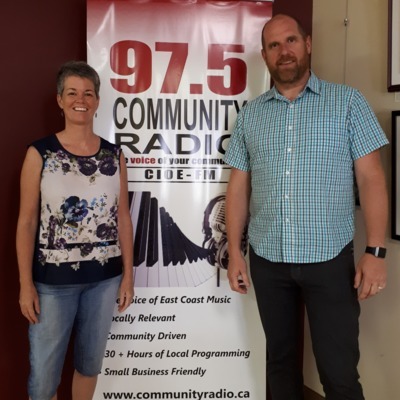 Angus shares the services and supports that are available to Nova Scotian citizens who are assisting a family or community member live well in their own communities. 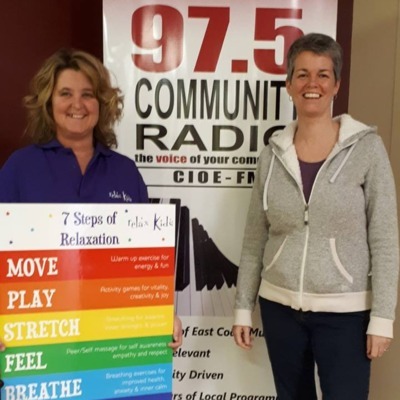 Kimberly introduces listeners to the Relax Kids program she facilitates. She also trains others to be able to provide the program. Lisa and Robert discuss the impact our sense of smell has on how we feel and how we can use this knowledge to improve our daily emotions. Dr. Kutcher discusses the potential confusion between Mental Health and Mental Illness language and the five essential strategies that all need to practice to maintain Mental Health well being.